Several innovations have taken place in the Singapore mobile app industry this year. We have seen how there are several dating apps trying to disrupt the dating industry. There was also the launch of Carousell’s competitor Tompang and a ride-sharing app called Lompang, which we covered earlier this year. Another industry that is actively being challenged by mobiles is the taxi industry: this year two taxi booking apps have taken the front stage in giving traditional taxi operators a run for their money. You might have heard about them: GrabTaxi and Easy Taxi. 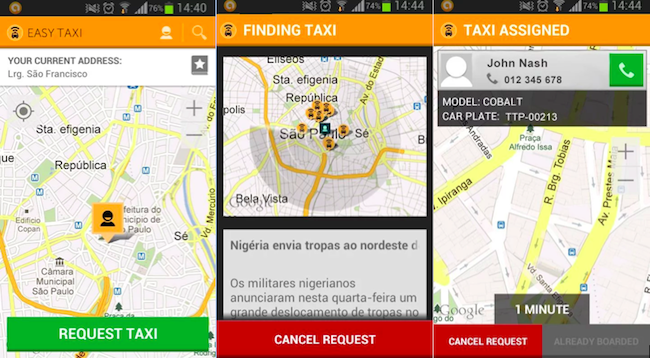 Both are similar taxi booking apps, where you can easily enter your current location and flag a taxi to your pickup location through the mobile app. Certain added features included in the apps include booking history, live feed of where your taxi is, as well as a taxi driver review system. I had the chance to download and use one of the taxi booking apps and had a brief chat with the taxi driver on why he chose to embrace the new mobile app, despite having existing booking systems from their taxi operator. Earlier this year when GrabTaxi and Easy Taxi were aggressively trying to recruit and convince drivers to sign up and use their app, both companies offered attractive perks and additional booking fees for the drivers. The average booking fee for taxis in Singapore is S$3.20. One of the taxi app even offered drivers a tiered bonus: if they accept taxi booking job requests through the app, the more they accept the jobs, the higher the additional bonus they will be compensated. This provides additional revenue for the taxi drivers, a significant incentive for them to try give the third party taxi booking apps a spin. For taxi drivers, they have the Easy Taxi or GrabTaxi driver specific app, where they will be alerted by customer taxi booking requests nearby through the app. This provides drivers with the extra convenience: they can bring their smartphone along with them when they are taking a toilet break or lunch break. 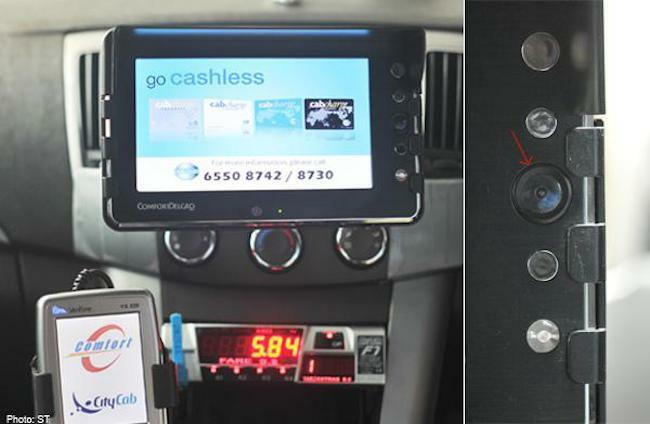 Traditionally, the taxi operator’s taxi dashboard (for example, ComfortDelgro) where all customer’s taxi booking requests are directed to, is mounted inside the taxi: the only way for taxi drivers to be updated and notified of any advance bookings or any pick-up requests is if he is in the car itself. 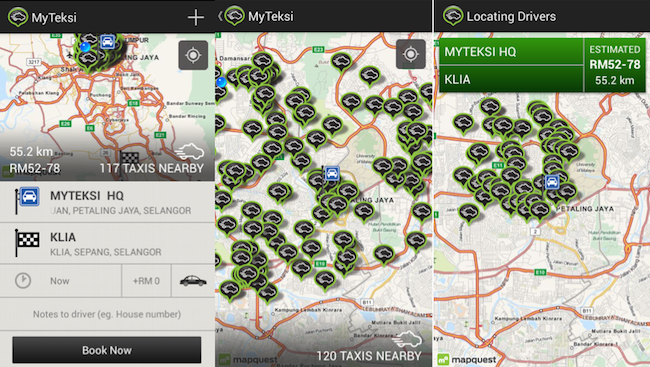 Third party taxi booking apps such as GrabTaxi and EasyTaxi changed that. Drivers can now have access to job requests on their mobile phone. Perhaps the biggest draw for taxi drivers is this: the third party taxi booking apps allow taxi drivers to see where the customers are headed to. 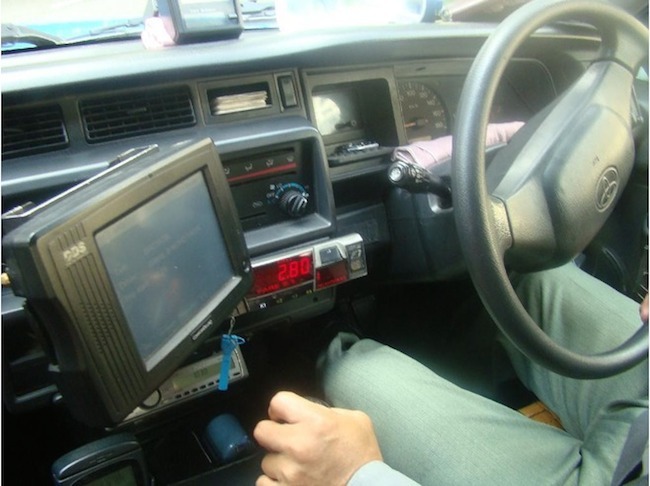 Though customer taxi booking requests are routed to the traditional taxi operator dashboard mounted inside the taxis, taxi drivers do not have access to the destination of the customer. They only know the pick up location. This is inconvenient for drivers especially when they are planning to change their shifts. If they accept a job request only to pick up a customer who is headed at the different direction, it would be a wasted trip. Photo: ST. Singapore CityCab Taxi Dashboard doesn’t show customer drop off point. When I chatted with the taxi driver who is happily using one of the third party taxi apps I mentioned, he shared that he was initially skeptical and reluctant to use them. However, the added advantages mentioned above convinced him. He is currently using the app almost exclusively. And he is definitely not alone: launch either Easy Taxi or Grab Taxi and you will notice that there are a lot of taxis available to pick you up when you try to book a taxi. Easy Taxi recently sent an email out to all their customers earlier on 17 March: In an effort to attract more customers to use the app to book taxis, they waived the booking fee for all Easy Taxi passengers in Singapore. “This was a huge commitment to serving the traveling public in the busy city. Over the past nine weeks we have seen hundreds of thousands of passengers using Easy Taxi to travel around the city. 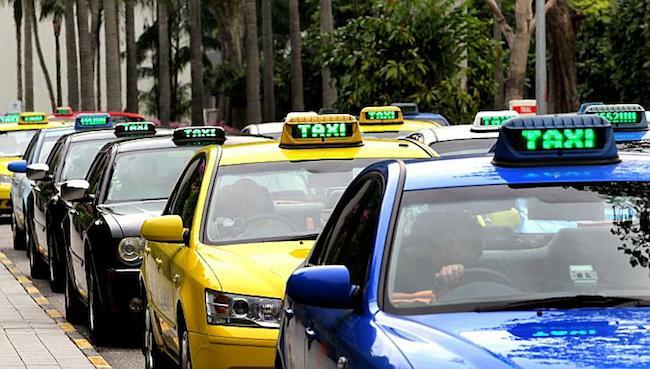 Collectively, we have saved the public in Singapore more than S$1.8 million.” – Easy Taxi Singapore. Assuming each ride’s booking fee was S$3.20, there would have been over half a million rides in the past nine weeks through Easy Taxi alone. So don’t be surprised if there are no taxis available to pick you up when you call in and request for a taxi through the hotline, because they are most probably all busy chauffeuring customers through third party taxi booking apps like GrabTaxi and Easy Taxi.